The Vice President’s remarks were made at the reception held this evening to mark the 79th anniversary of Pakistan Day. Pakistan Day commemorates the passing of Lahore Resolution on 23 March 1940 that eventually led to the adoption of the first constitution of Pakistan on 23 March 1956. 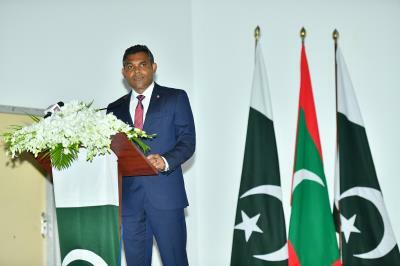 In his speech, Vice President Naseem expressed his confidence that the Maldives and Pakistan will continue to work together, to ensure the prosperity, safety and stability of South Asia and the Indian Ocean region, while further strengthening the regional cooperation in South Asia. 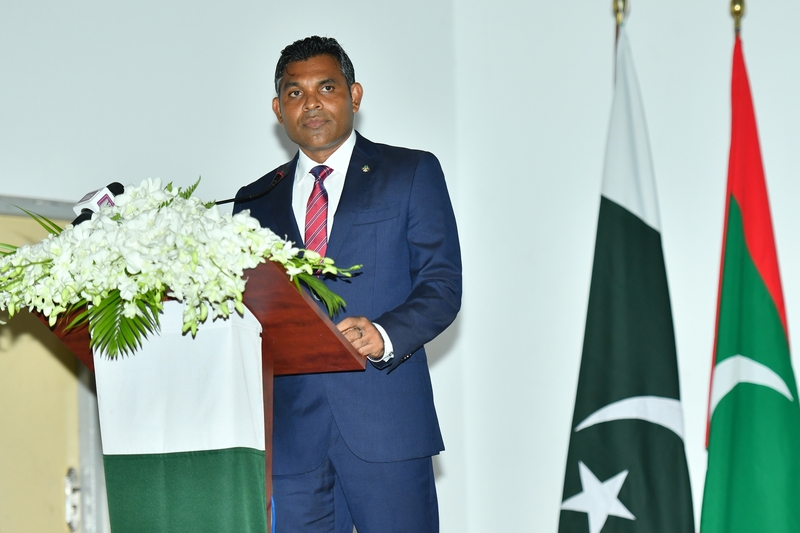 He also reaffirmed the Maldives’ commitment to further enhancing the longstanding culture of cooperation between the two countries, to ensure a better quality of life for the citizens of both the countries.